It goes without saying that day to day activities can be hard on your rugs. There can be a lot of dirt, dust, odors and oils from pets, foot traffic and spills that get trapped in the fibers. The rug you have will last a lot longer if you make sure to clean it on a regular basis and you work hard to maintain it. Rugs are not going to last long if you start to let debris build up and fail to take good care of it, even if the rug you own has strong fibers. The dust and dirt will build up deep down inside and then cause damaging friction to the fibers. Our team offers rug cleaning services, which means that we will help you with spills of sauces, coffee, wine and more on your rug. Not only can we work to restore your rug if there has been pet accidents on it, but we can also help you with tips on how to spot clean. When you have a spill, you can try blotting the area using a clean towel. You can then look to the help of a professional for a full cleaning. The products that you will normally find in the stores can contain harsher chemicals than what a professional will have, which can damage the fibers in the rug. Never apply just water over a stain, as this can lead to staining or spreading of the dyes that are in the rug itself. We offer professional cleaning of your rug to get rid of deep down dirt and stains. We have different cleaning methods, including color testing to be sure that the rug dyes never bleed while the rug is being cleaned. 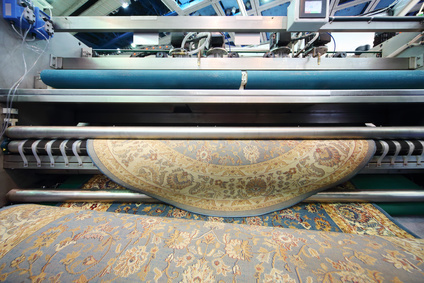 Through a 10 step cleaning process, we will work to thoroughly clean your rug. Our specialists have all been through advanced training to make sure that the job gets done right. We also offer hypoallergenic and non-toxic cleaning solutions so that you never have to worry about the safety of your household, including your family and your pets. 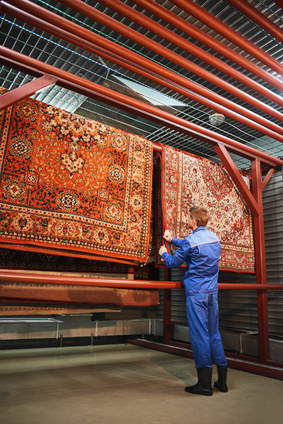 Do you want to have repair, cleaning and restoration services for your specialty rugs and carpets? If so, you should know that we use a variety of cleaning techniques that will all be based upon the type of rug or carpet that you have. 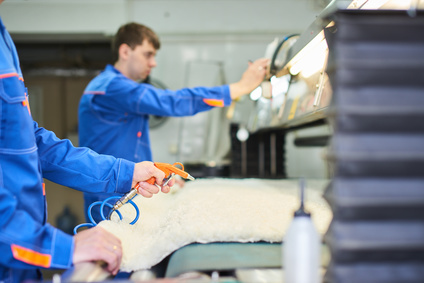 We have the ability to restore and clean rugs and carpets that are made from silk, wool, sheepskin and cowhide. We will be happy to work on Central Asian rugs, Persian rugs, Anatolian rugs, Kurdish rugs, Caucasian rugs, East Turkestan rugs, Chinese rugs and Tibetan rugs. All of our professional cleaners are fully certified and able to identify different kinds of rugs and materials to select the best cleaning solution possible. Not only do we have high quality equipment for cleaning, but our cleaning facility has everything our specialists need to get the job done. Contact us today for a free inspection of your rug and we will give you an estimate for free. Should you decide to go with our services, we will also pick up your rug for free and get to work right away.